2 Decalcifier for industrial use. 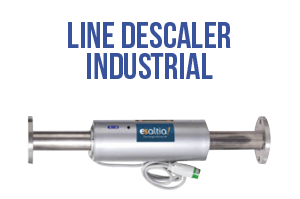 4 Industrial descaler as it works. 4.1 How do Anti – lime scale effect is achieved by Antical RF devices? Industrial descaler, hard water substantially increases energy consumption, requires downtime due to equipment being out of service due to the need for cleaning and early renewal of important equipment such as boilers, heat exchangers, plates or tubes, hot water accumulators, equipment with heating systems with internal resistances, etc…..
Industrial descaler, lime scale incrustations in the industry cost this industry millions of euros every year in broken or out-of-service equipment, production losses, premature replacement of major equipment and an increase in energy bills (electricity, fuel oil, gas,…). Plant and Factory Directors and Managers involved in the operation of the company or factory are usually under increasing pressure to cut costs and improve the energy efficiency of their facilities, but are often powerless in their fight against the lime scale that is embedded in the facilities by seriously damaging the energy efficiency of the facilities and increasing the energy costs of the facilities. In addition, solutions to this problem must be carried out with care when complying with existing environmental legislation.. 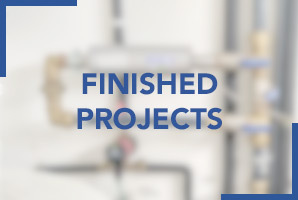 In its many years of experience dealing with hard water problems, the Antical RF systems have been improved and new descaling systems or anti-lime systems for electromagnetic power pulsed emission have been developed, providing companies with a clean, efficient and environmentally correct system (with no waste generation) and low power consumption) to prevent the increase of new calcareous incrustations and to eliminate the existing ones progressively, an industrial decalcifier..
Advances in electronics have allowed Antical RF to be manufactured in a size that can be installed in small spaces, sometimes even almost inaccessible..
Commercial applications such as: laundries, hotels, bars, restaurants, gyms, saunas, swimming pools, camp sites, supermarkets, shopping centres, garages, restaurants and bakeries, as well as in owner’s associations, etc. Our Industrial Decalcifier can help. 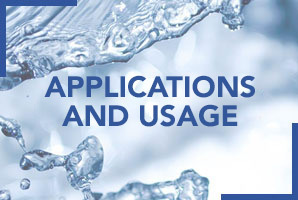 Industrial applications such as: cooling tower protection, boilers, heat exchangers, refrigerators, water supply networks, as well as in paper mills, steel mills, petroleum, plastic, wastewater, food processing, power plants, textile industry, chemical industry, water supply, etc… Other industrial water decalcifier uses. Antical RF equipment can be installed on all types of existing pipe material and sizes from 15 mm to 700 mm diameter. 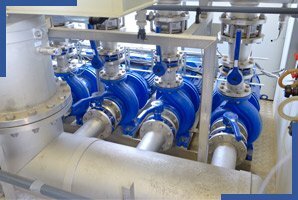 In addition, special units can be manufactured and manufactured, either for water with a very high special hardness (above 200ºF) or for treating brackish water or seawater and for a wide range of specific applications. Commercial and industrial equipment has minimum IP45 protection. Total protection against lime scale problems for the water supply system. Extends the life of other important installation equipment. Reduce maintenance and downtime and stop. Reduction of mechanical damage and failures. Helps achieve and maintain optimum production levels. We have a complete line of Antical RF equipment to deal with lime scale problems in all industrial sectors. THE EMITTER: The hydraulic part formed by a group of coils joined two by two in opposite phase around the steel pipe of the equipment fitted in the water supply line. They form the heart of the equipment and are the low-frequency electromagnetic pulse emitter. The system transmits low-frequency signals or pulses to the coils, which emit them to the water flow through the device. 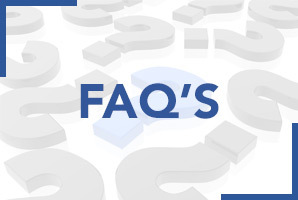 THE TRANSFORMER: The electrical part, consisting of a special current transformer that continuously changes the relative frequency according to the conditions existing in the water (the signal frequency varies according to the temperature, hardness, pressure, and flow rate of the water). The housing of this transformer is made of plastic, with IP45 protection. (Splashproof). Ultimately the combination of the two main parts of the equipment makes the Antical RF equipment are electro-physical low voltage devices that create a variable pulsed electric field (power pulsed technology) that provides a permanent solution for the control of problems caused by lime and control of corrosion induced by it in water. Industrial descaler as it works. How do Anti – lime scale effect is achieved by Antical RF devices? The low intensity electromagnetic fields generated by the Antical RF system, due to the effect of resonance, induce an energy such that it alters the polarity of the ionic pairs of CaCO3 dissolved in the water, keeping these particles in colloidal state, that is, as tiny highly hydrated crystalline particles that remain in suspension in the water until temperatures of 70/75º C.
At higher temperatures precipitation of the ionic pairs in suspension occurs, but not in the usual way in which lime precipitates: as calcite (trigonal), highly adherent and insoluble, but in the form of aragonite (rhombic), scarcely adherent and soluble in water, which has a weak crystalline structure and is broken down by the simple mechanical drag of water in the pipes. Furthermore, we must not forget the decalcifying effect demonstrated by the Antical RF device, thanks to which the calcium carbonate incrustations already formed in the walls, filters, exchanger plates, pipes, accumulators, etc. are eliminated. This happens thanks to the resonances generated by the Antical RF equipment modifies the polarity of the ionic pairs of calcium carbonate in solution, and likewise they act on the crystalline network of the already existing calcite incrustations, reducing their polarity, causing the structure to be less stable. This, together with the crystallographic incompatibility phenomenon and the mechanical and solvent dragging effect of the water described above, are responsible for the descaling effect of Antical RF. The only cost of anti-lime treatment of the RF Anti-lime Water treatment system is electricity consumption, which is very low when dealing with low voltage equipment. For example, for a pipe diameter equipment of 2″ the electrical consumption would be a maximum of 66 W/h (1,58 Kw/day). 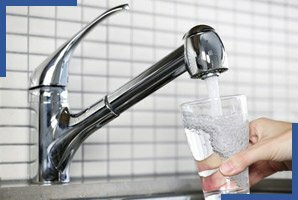 Compared to the average cost of chemical treatment against limescale (salt descaler or water softener) and the maintenance of a limescale treatment system, the sum of its costs is considerably higher than the low and unique cost of electricity consumption of an Antical RF system. In addition, these treatments can generate waste that is detrimental to the environment and/or entails an additional cost of managing them. Antical RF systems are an ecological, comfortable, economical and totally effective alternative to keep lime problems in your industry or business under control..
All the information about water descalers, it is interesting to read all our articles if you want to finish with lime scale problems.